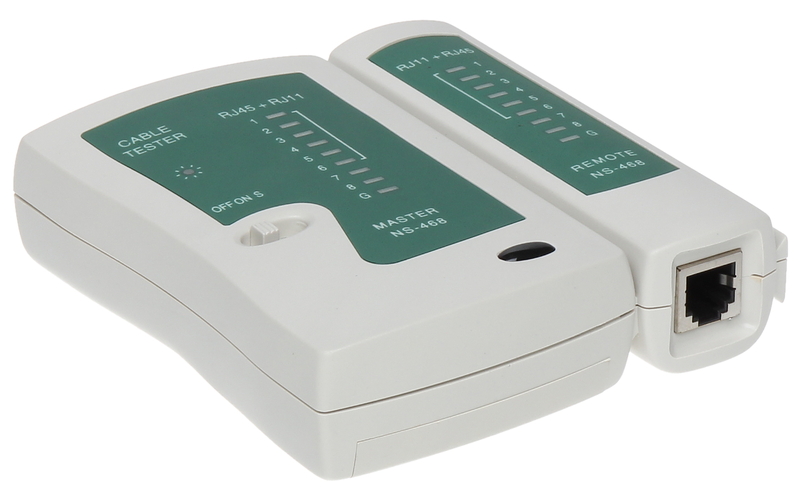 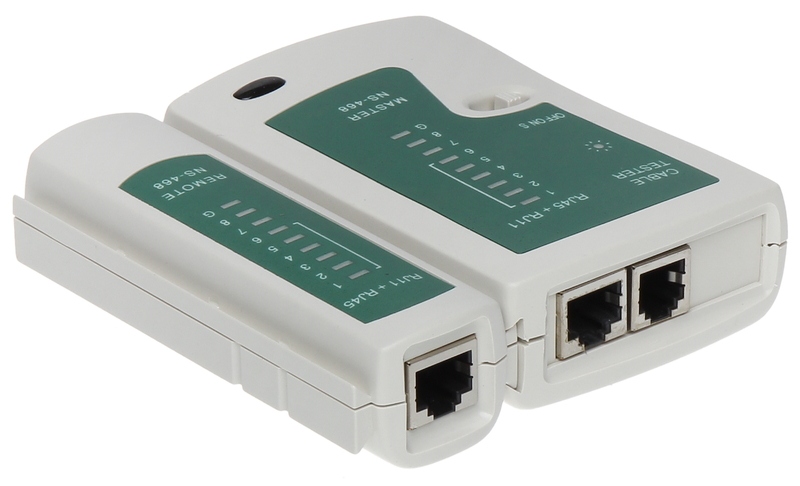 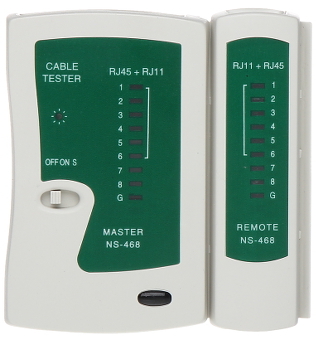 The NS-468 tester is designed to test the correctness of the cable terminating, wires sequence in RJ-45, RJ-12 and RJ-11 plug. 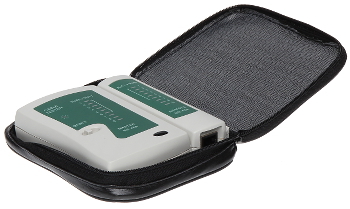 The test can be made with two speeds. To test the cable the Main Tester must be connected to the one plug of the cable and the Remote to the other one. 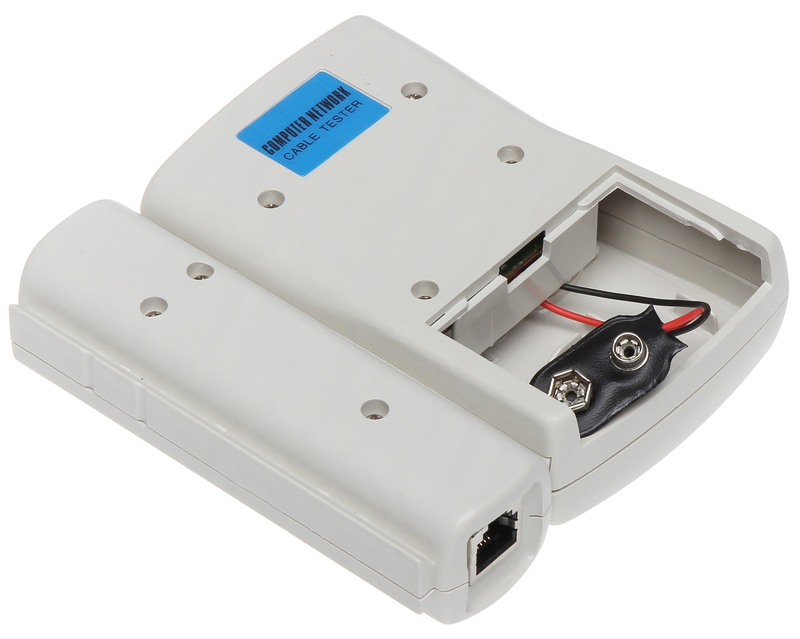 The device case is made from a solid plastic, which guarantees the reliability and long-term working during the installations. No possibility to test the connectivity of the masses.